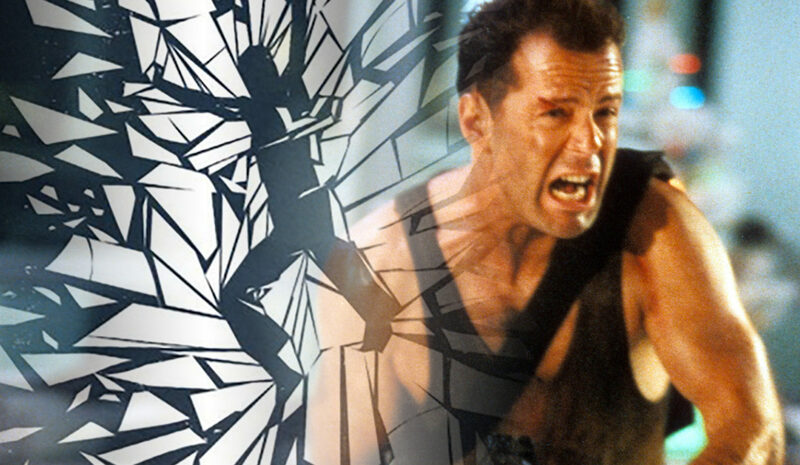 With the recent announcement of the upcoming Die Hard Board Game, the internet was buzzing with excitement. It got me thinking about the cross over (or lack of) between board games and movies. 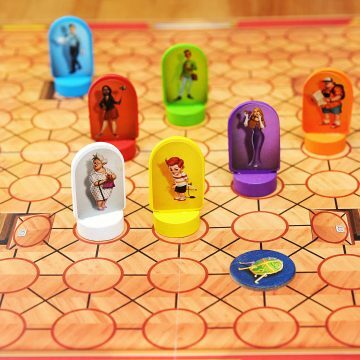 Sure, there have been some tabletop games that have successfully been turned into movies, like CLUE, and some that met with a lot less acclaim. I’m looking at you Battleship. 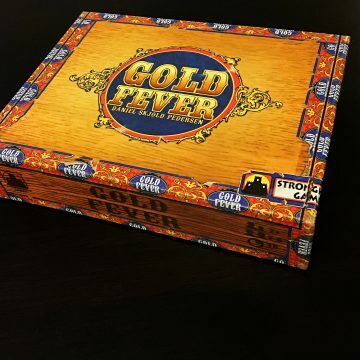 On the other end of things, there have been a few movie-based board games that were more than another Monopoly skin, such as The Godfather, Legendary: Big Trouble in Little China, and The Thing. However, by and large, I don’t see the same synergies between the silver screen and the tabletop as you do with books, video games, and merchandise. I decided to take a look at some different titles and imagine what movies they could’ve served as the inspiration for, or vice versa. You might know this story better as its latest version, The Haunting of Hill House, which recently aired in a mini-series form on Netflix. However the first adaptation of the Shirley Jackson novel is a better fit in this place. It follows the efforts of Dr. John Markway to study the paranormal activity of the Hill House. It has a long history of sudden deaths and ghostly apparitions. Markway invites a psychic, Theo, and a young woman, Eleanor, who experienced hauntings as a child. Eleanor soon becomes obsessed with the house which pulls her further and further into its grasp. In Mysterium, players are psychic ghost hunters intent on communicating with the dead. The ‘ghost’ wants to share the person, location, and means of their death, but can only communicate in cryptic visions. 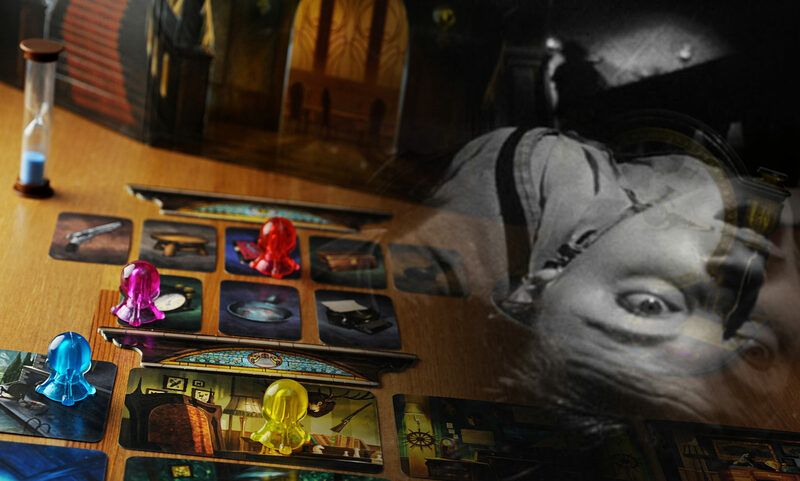 Mysterium could easily be The Haunting: The Board Game. From its haunted mansion setting, to presence of psychics, and a mysterious death. This is a film and board game match made in hell. I love Greek mythology and a big part of that is the 1981 classic Clash of the Titans. This movie has everything a young kid can get excited about: brave heroes, creepy monsters, and some of the coolest stop-motion special effects out ever made. The battle between Perseus and Medusa is so thrilling and it made a huge impression on six-year-old me. While there are a lot of board games set in ancient Greece, none capture the same flavour quite as well as Cyclades. Players have to bid on the favour of the Gods to achieve their goals each round, and they’re able to acquire the services of legendary creatures like the winged steed Pegasus, the giant Cyclops, and of course, the Gorgon. 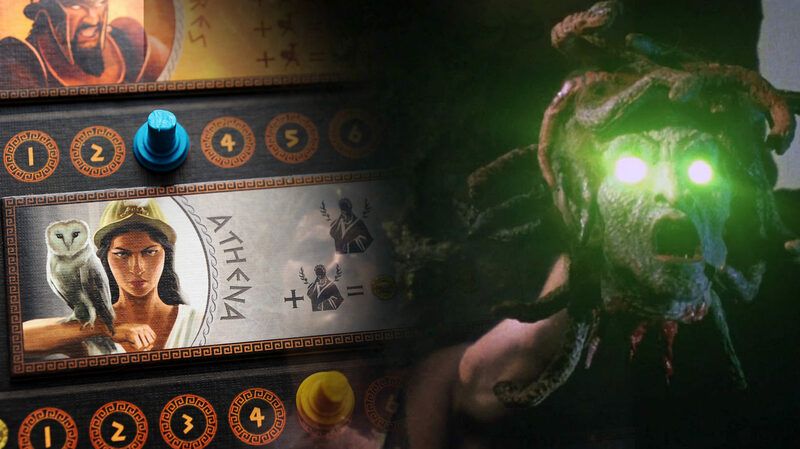 Although Cyclades is not technically Clash of the Titans the tabletop game, I will always picture myself as Harry Hamlin when I go into battle. I was not prepared to be as scared of velociraptors as I was when I first saw Jurassic Park. They were, and have continued to be, some of the most menacing ‘clever girls’ in movie history. Every subsequent film in the series depicted them as brilliant and relentless hunters. You know the human heroes are in trouble when the raptor makes its first appearance in the film. 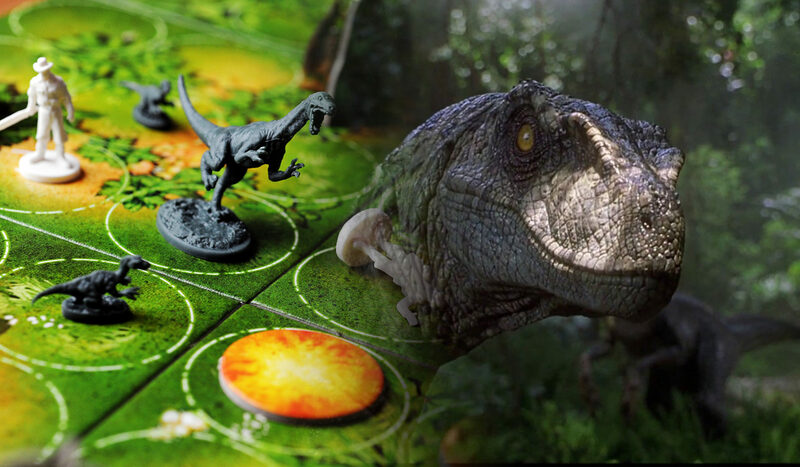 Raptor by Bruno Cathala presents the other side of the coin. In this two-player duel, one person takes on the role of human scientists looking to flush out a family of raptors and steal them from a none-too-pleased mamma. It’s hard not to feel empathetic to a parental dinosaur that just wants to escape with her kids in tow. Raptor is an excellent strategic battle in the same vein as Mr. Jack, and it does what I would’ve considered impossible a few years back. It makes me cheer for the Raptor. 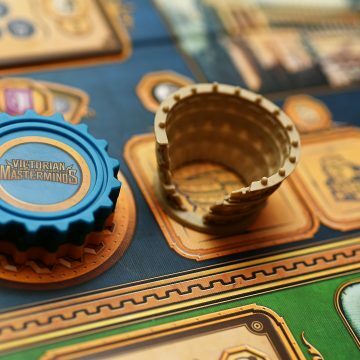 Pandemic kicked off a wave of different cooperative games, and if you’ve ever played it or its even more intense counterpart, Pandemic Legacy, you know the nail-biting tension you feel as you hunt for the cure, while deadly diseases spread across the world. 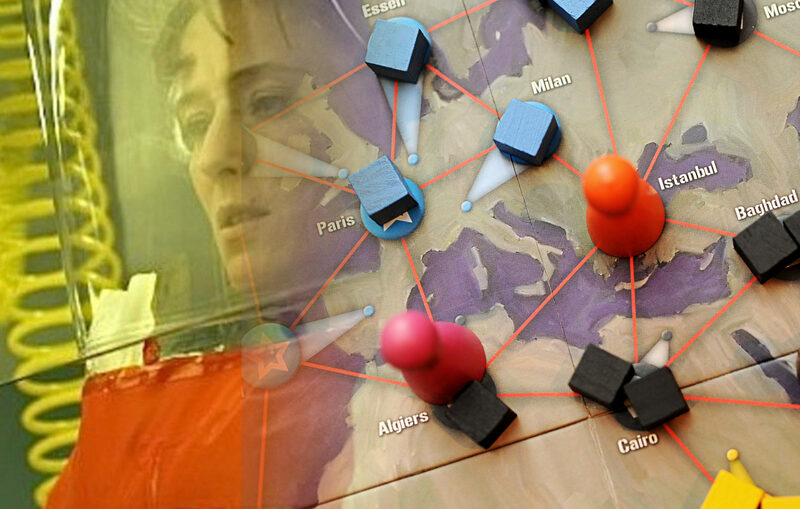 Pandemic embraces science, smart decisions, and a logical approach to the problems you’re facing. The 2011 Steven Soderbergh thriller Contagion featured an all start class including Matt Damon, Kate Winslet, and Jude Law. It tells the stories of different professionals, healthcare workers, politicians, scientists, and even everyday people dealing with the fallout of a worldwide epidemic. This could easily have been inspired by Pandemic. The two mirror each other so well, it wouldn’t be surprising to hear that Soderbergh has played a few rounds and saved the world once or twice. 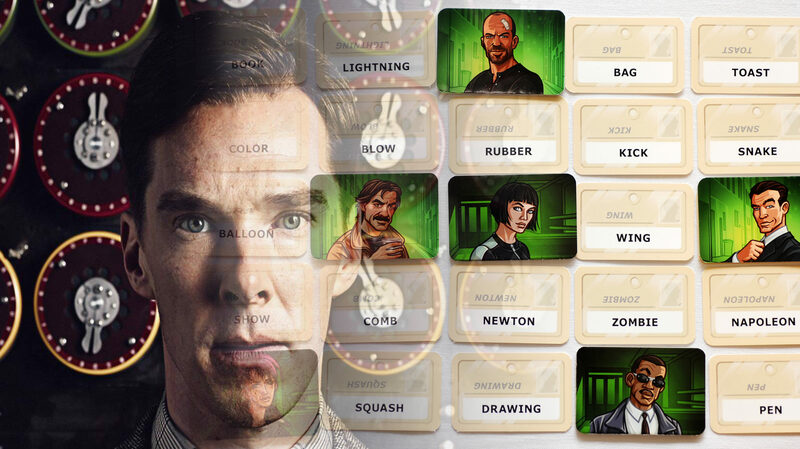 I’m not sure if I’d want to play a game of Codenames with Alan Turing. Not because he wouldn’t be good at it per se, but because his intellect worked at such a higher level than the average person, his clues would probably be tough to decipher. In a way he’d be too good. The Imitation Game tells the story of Turing’s life during the Second World War when he worked out of Bletchley Park for the British government breaking German codes. His efforts were considered to be instrumental in figuring out several key German tactics and allowed the Allied forces to get an advantage in many different battles. Turing was sadly persecuted for homosexual acts later in his life. A terrible disrespect to a person who had done so much for their country. When playing Codenames the stakes are certainly not as high as they were for Turing, but it sure is fun to pretend that the fate of the world hangs in the quality of the clue you give.